We have the rig out of an old Star that unfortunately was not cared for for many years. The hull was cut up but the mast and boom are still in decent shape. We did not think to get the HIN before the boat was destroyed so do not have any estimation of the age. All standing rigging is present and in good shape (one exception is one shorter stay has a broken strand and would need replacing). Running rigging has been behind a trailer for 6 years and shows it, definitely not usable. 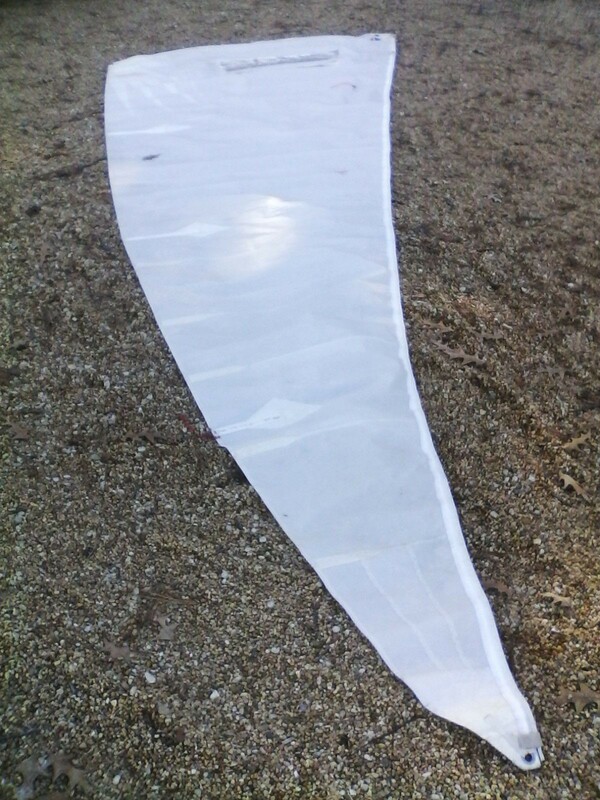 The jib has a few stains but is still crunchy and would be good as a practice sail. The sailmaker is Fisher. Location is Southern Maryland, we would be able to deliver within about a 6 hour drive. 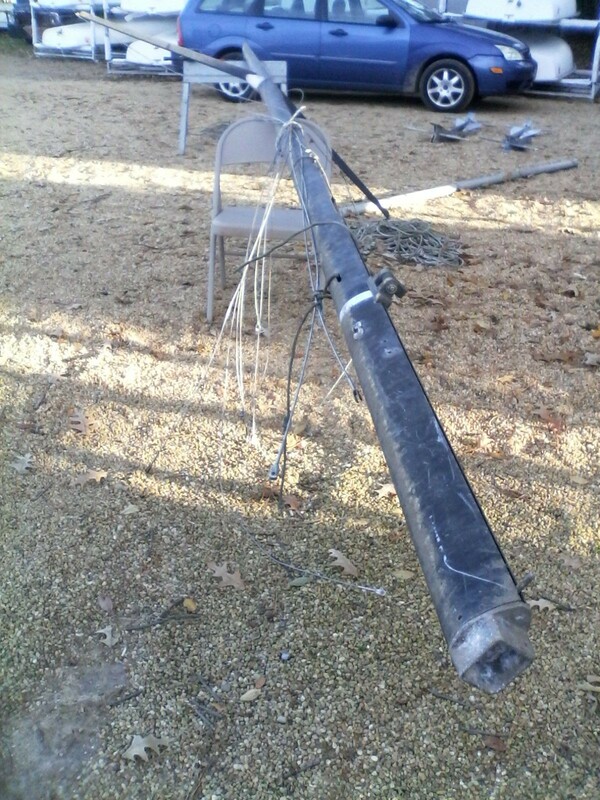 Asking $400 OBO for the mast, boom, and jib together. Plenty more photos available if desired.